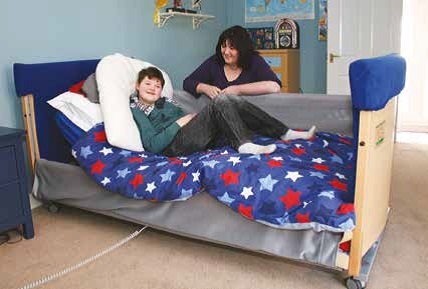 Variable posture beds have sections in the base under the mattress. The sections can hinge to form a backraise and sometimes a legraise as well. This feature is known as profiling. 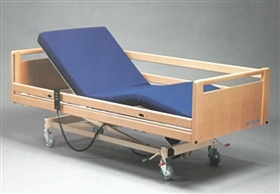 Two section beds are sit-up only: the angle of the head section is adjusted to help sitting up / lying down or to form a backrest. There is no knee break option and, it is likely that the person will slip down the bed. 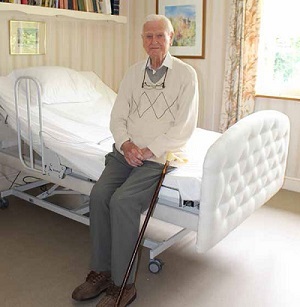 Three section beds slightly raise the user's knees, forming a knee break that may prevent him/her from sliding down the bed. 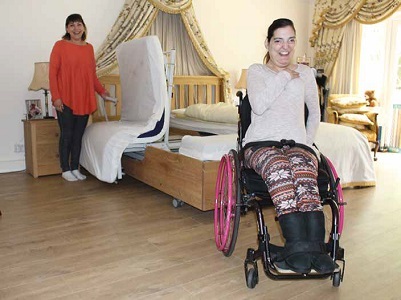 A more comfortable and stable position can be achieved in a bed with four sections, as the user's bottom remains horizontal whilst the knees are raised to form a break. Five section beds provide more profiling within the head / backrest section. Those with a powered mechanism are usually controlled with a handset. Although powered by a motor, most are quiet or almost silent. The mattresses for adjustable beds are either foam, latex or sprung, but should have divisions to correspond with the sections of the platform for the mattresses. A sprung mattress with continuous wire edging should not be used, as it will make it difficult to profile the bed. It is advisable to check with the bed manufacturer if the mattress needs to be replaced at any stage.